This female duck came in with a very poor prognosis, but instead impressed us all! She had a few pellets in her chest, from being shot, and had a completely shattered knee. Even if those injuries seemed bleak, she had been coping very well in the wild. 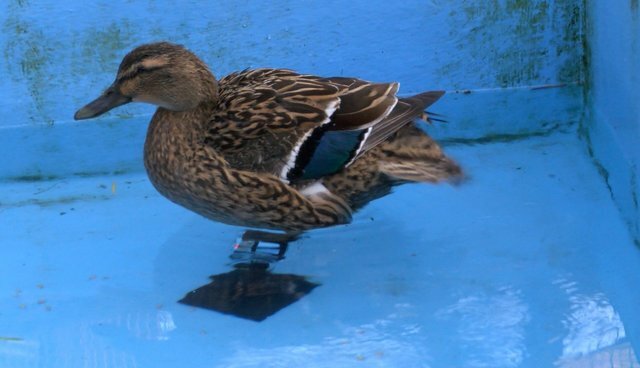 She is still with us, resting and gaining weight in the rehabilitation pool. She should be released in a few days on a nice lake with an island. Animals are so resilient! Being able to almost fully use her leg after such a bad fracture is very impressive. Well done duck!